Use improvisation to bring spontaneity and joy back into your life! 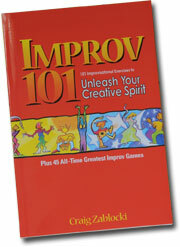 Plus: 40 All-Time Greatest Improv Games! 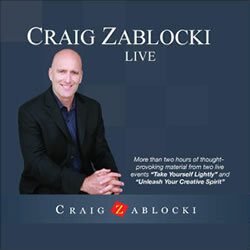 In listening to Craig’s CD, you will learn that the trick is to see how we have been conditioned to play it safe, look good and hold back. Once we see how our psychological fears have a grip on us. We can learn to laugh at the silliness of them and move in the direction of a more enjoyable life.